Get directions, hours of operation, and parts store access for Earley Tractor Inc. Welcome to Earley Tractor. We have served North Mo. for over 40 years. 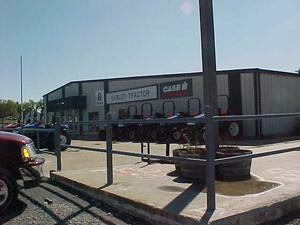 We are conveniently located at the crossroads of Hwy 36 and I-35 in Cameron, Mo. Visit us regularly for specials at our dealership. Count on us for help with finance and lease options, service and parts support second to none. In addition to New Holland, we also carry CaseIH, Bobcat, Kinze, Vermeer, Land Pride, Rhino, and Stihl and a few other shortlines.